The Crossover Universe: Crossover Cover: From Here to Infinity! 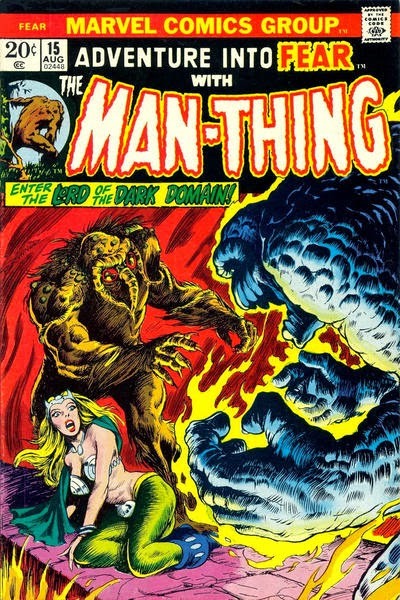 In the Man-Thing story in this issue, Joshua Kale, leader of the Cult of Zhered-Na and Man-Thing's potential ally, uses magic to show the members of the Cult the history of their namesake, an ancient Atlantean sorceress. Zhered-Na worshiped the god Valka, and was given a vision of the future by her deity. Valka is a deity from Robert E. Howard's Kull stories. Win included an issue of Master of Kung Fu where Shang-Chi met Man-Thing in Vol. 2, and this crossover reinforces his inclusion.